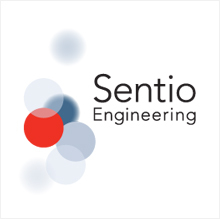 Sentio Engineering is a team of highly experienced engineering professionals, each dedicated to the goal of providing Fit for Purpose EPCM design. 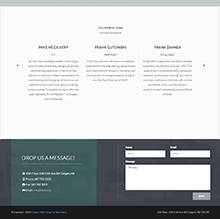 Custom website design using latest bootstrap libraries to quickly render the website responsively for desktop, tablet and mobile devices on the fly. Others may say it, but they own it. 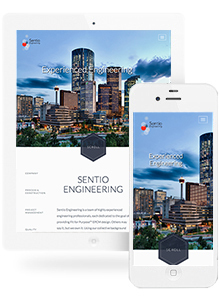 Using their collective background earned from the completion of numerous projects, Sentio offers full-discipline engineering, construction management and startup services. Clean and clear design offer clear calls to action. 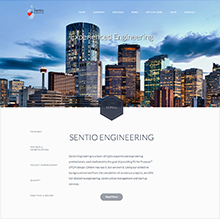 One page hold one website unique design. 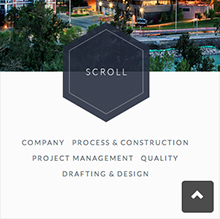 Scrolling effect moves users to each section of the website. SEO optimized to ramp up lead generation.